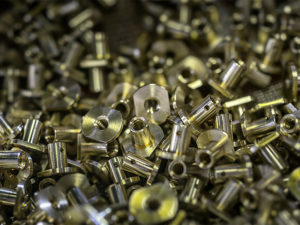 Part finish: Many medical parts must have to have a smooth overall finish -16 RMA or better- to fit into assemblies and to avoid unwanted rubbing. Tolerances: Many of our medical parts go into assemblies that require tight tolerances, .0005″ (.0127 mm) total variation or less, in order to function. Packaging: Medical customers often require particular packaging so that the parts are not damaged or lost- since they are often small parts. 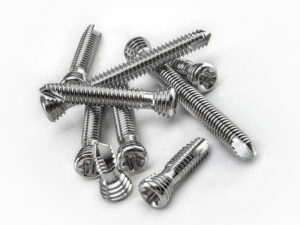 Difficult materials: Medical implants are often made out of Titanium or 316 Stainless which are materials with low machinability. Medical device components have been a staple of DM2 business for many years. In an effort to better serve our medical customers and to gain the credentials needed for the manufacture of implantable devices, we obtained an ISO 13485:2016 certification in 2018. 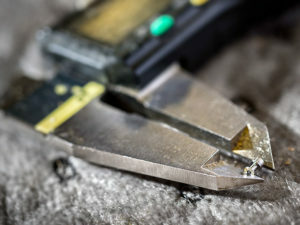 Still have questions about our Micro-Machined Solutions?